Home > Does the elimination of the alimony deduction affect my Pennsylvania support payments? Does the elimination of the alimony deduction affect my Pennsylvania support payments? The Pennsylvania support guidelines that were issued in the 1980s assumed that all spousal support payments were deductible by the Payor and includable as income by the Recipient. To address the Tax Reform Act that was passed by Congress in December of 2017 (eliminating the alimony deduction among other things), the Pennsylvania Supreme Court adopted a new methodology and guidelines for calculating spousal support beginning January 1, 2019. There are two major changes under the new Support guidelines. First, the order of calculating support has been reversed. Second, the percentage available for spousal support has decreased. Under the old guidelines, child support between the parties was calculated first followed by the spousal support calculation. In contrast, under the 2019 guidelines, the Court will calculate any spousal support obligations between the parties prior to calculating the parties’ respective shares of child support. Incidentally, Pennsylvania was the only state that did not calculate spousal support first. The second major change is the percentages of net income available for spousal support. Under the old guidelines, the percentages were 40% without children and 30% with children. Under the 2019 guidelines, there are actually different percentages for the Payor and the Recipient. For the Payor, the percentages are 33% without children and 25% with children. For the Recipient, the Court will use 40% of their net income without children and 30% of their net income with children. I know, the guidelines were complicated enough, and now this. Here is an example to try and help explain how this new process would work. As this illustration demonstrates, the Spousal support figures under the new guidelines are going to be lower then the pre-2019 guideline. However, this spousal support will not be deductible by the Payor nor includable as income for the Recipient. After the spousal support is calculated under the new 2019 guidelines, the Court will then proceed to calculate child support. The child support calculations are pretty similar under the 2019 guidelines. However, the overall child support orders under the 2019 guideline will go down due to the way the income shares are being calculated with spousal support. 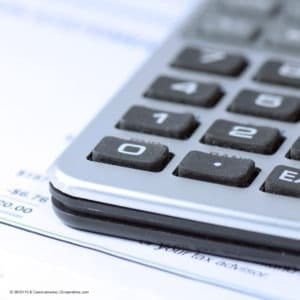 The new spousal support calculations will affect child support calculations. Like the families we serve, matters of family law come in all shapes and sizes—and our Pennsylvania and Delaware Family Law attorneys are equipped to manage and resolve a variety of legal issues. Our attorneys cover all aspects of family law, from drafting prenuptial agreements before parties marry to negotiating divorce settlements when a marriage ends, as well as helping parents resolve child custody disputes. Learn more about our family law practice. Lance Nelson, chair of MacElree Harvey’s family law practice, has over 25 years of experience representing clients in family law matters such as divorce, marital agreements, adoption, custody, and support. If you have any questions about your support obligations or your support Order, please contact the Family Law Attorneys at Macelree Harvey, Ltd. by calling (610) 436-0100 or email [email protected] to arrange a meeting with a member of our family law team.